Nueva Mansion de lujo con piscina privada. Las calas cristalinas de Cala d'Or a 5 min. Vista mar. 12-14 Personas. WIFI. Los actividades locales estan a una distancia entre 5 - 45 min. This is the 2.nd time that we have been staying in this Villa. The villa is even better than on the pictures, with beautiful decoration throughout the house. We hope to come back very soon, thanks for the excellent service to Lone and her Villa-Team. 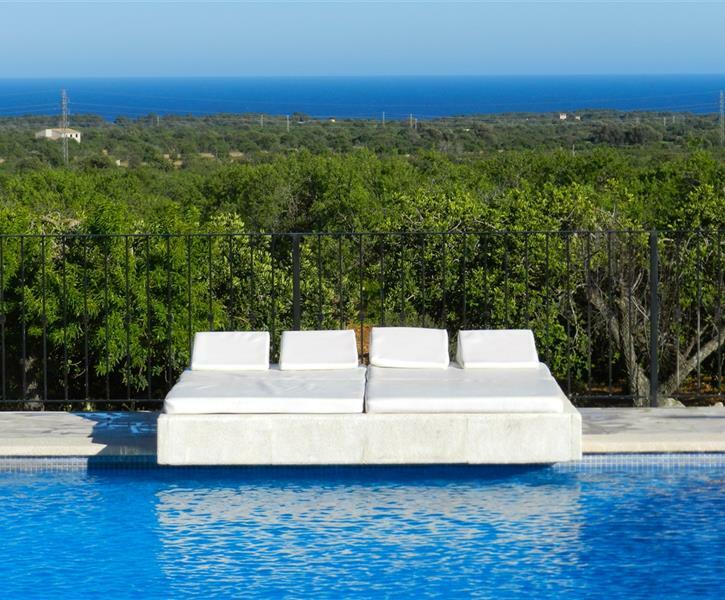 I highly recommend the Villa Mansion Ses Oliveres if you are looking to stay in Mallorca with friends and family. The property is truly luxury in a great location and well maintained. The service is excellent - we will be back, thanks. We have had a lovely week in your beautiful house. It fully exceeded our expectations! Total privacy and with views towards the sea. We enjoyed the covered terrace and pool to the fullest - both day and night. The table tennis was also a hit. Your driving instructions made it very easy to find our way to your Villa. We had a great time and well relaxed before we moved on again. Some suggestions ! Difficult because the information in the house hand book and the service provided by your self was far superior to what we have experienced in Europe and Mallorca. You already do such a excellent job in comparison to your competitors you should be proud. Thank you once again and when we come back we would certainly look you up for availabilities. Huset var skønt med en dejlig udsigt - beliggende dejlig ugenert. Dejlige værelser, gode badeværelser, - og allerbedst en skøn overdækket terrasse. Eneste problem var vandet, som var sparsomt til tider - især i køkkenet, hvilket var meget upraktisk i et hus med så mange beboere.